Announcement Lake Michigan Book Press is located at the Park Trades Center in downtown Kalamazoo, Michigan. 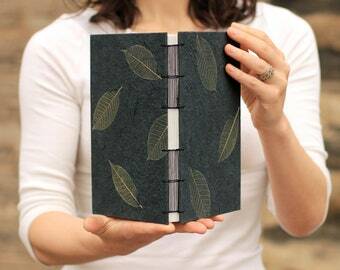 Every book is handmade-to-order by Crystal Shaulis, Intern Manager at the Kalamazoo Book Arts Center. 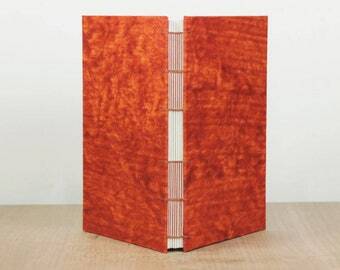 Her artist books have been on exhibit at the Kalamazoo Institute of Arts, University of Nebraska and the Muskegon Museum of Art. At Lake Michigan Book Press, we're about quality over quantity. 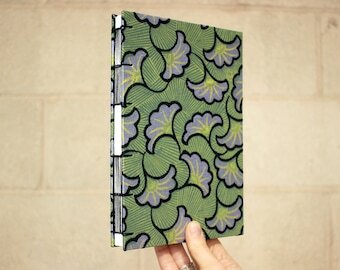 ‘Handmade’ is not just a buzzword in our studio - we love binding books and it shows. Meticulous precision is given to every detail, from the cover down to the elements you can’t see. 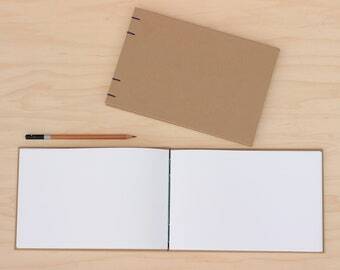 Underneath every book cover is a board that has been carefully cut; the edges and corners sanded until smooth - Each sheet of paper is cut and inspected before being folded individually then nested together. 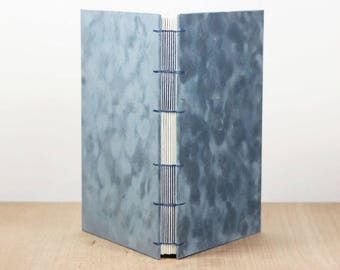 These elements are sewn together using one continuous length of Irish linen thread, insuring the binding will always remain tight with pages intact, yet flexible enough to lay flat. When you buy handmade, you’re supporting fellow creators. Are our books inexpensive? No. But anyone who holds one will never wonder if it was. Lake Michigan Book Press is located at the Park Trades Center in downtown Kalamazoo, Michigan. 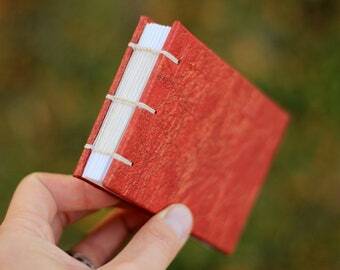 Every book is handmade-to-order by Crystal Shaulis, Intern Manager at the Kalamazoo Book Arts Center. 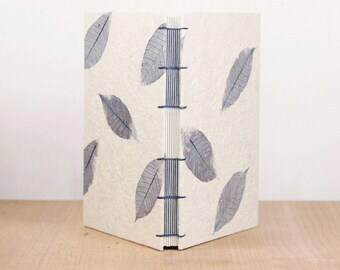 Her artist books have been on exhibit at the Kalamazoo Institute of Arts, University of Nebraska and the Muskegon Museum of Art. 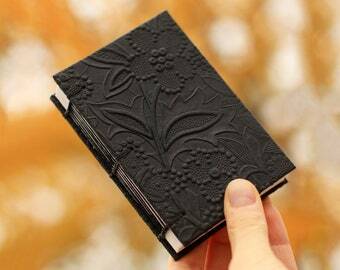 Really well made journal...perfect little size for traveling! 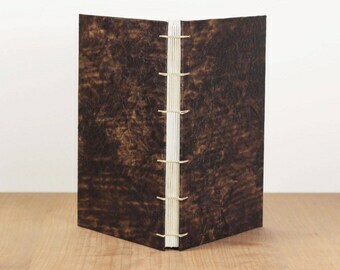 I couldn't be happier with my custom journal made with my favorite paper, BFK Reeves. 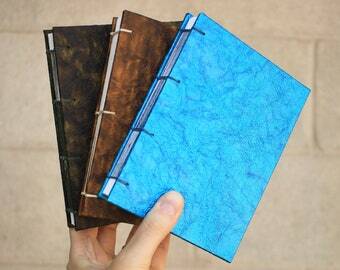 Crystal's binding is impeccable and the journal is so very well made. 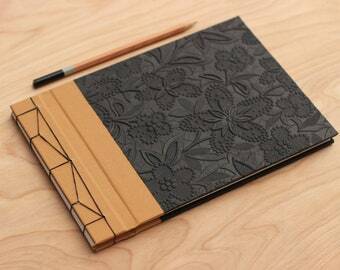 This is my second journal and I'm sure I will be back for more when those are filled. 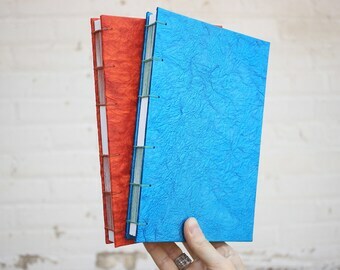 I like supporting local artisans and supporting a fellow Michigan artist is even better- and these journals truly are a work of art. Thank you! thank you, my friend loved her gift. 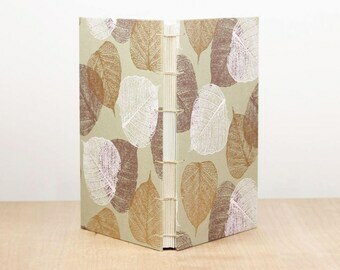 Binding in the Lake Michigan Book Press studio. 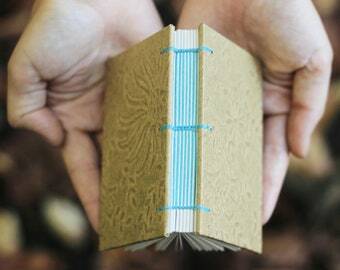 Every book is made to order and made by hand. Three of the five antique book presses that make all this possible. A mini in the wild. 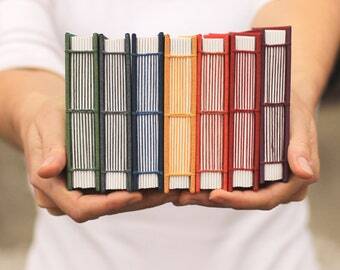 At Lake Michigan Book Press, we're about quality over quantity. 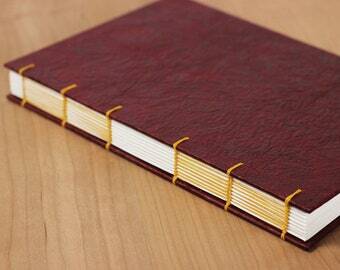 ‘Handmade’ is not just a buzzword in our studio - we love binding books and it shows. Meticulous precision is given to every detail, from the cover down to the elements you can’t see. 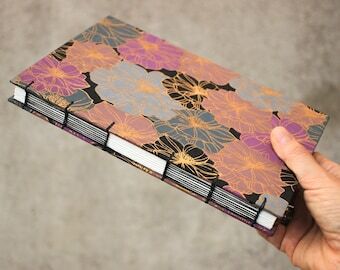 Underneath every book cover is a board that has been carefully cut; the edges and corners sanded until smooth - Each sheet of paper is cut then inspected before being folded individually and nested together. 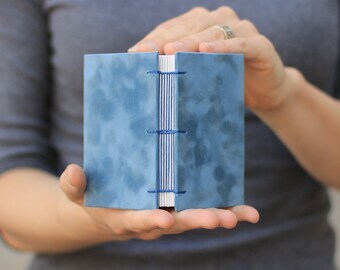 These elements are sewn together using one continuous length of Irish linen thread, insuring the binding will always remain tight with pages intact, yet flexible enough to lay flat. When you buy handmade, you’re not just supporting a fellow creator - you’re supporting the belief that your belongings should only enhance your life. Lake Michigan Book Press is located at the Park Trades Center in downtown Kalamazoo, Michigan. The majority of our materials are purchased locally, from fellow Michigan vendors or those located within 200 miles of Kalamazoo. 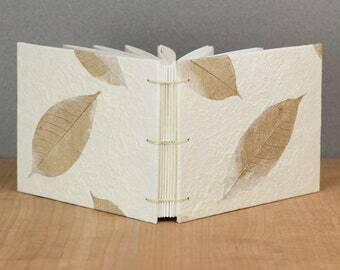 All books are bound by Crystal Shaulis, a bookbinding instructor who teaches many workshops every year through the Kalamazoo Book Arts Center. 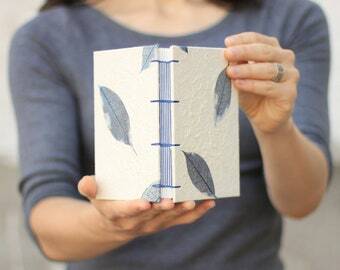 Her artist books have been on exhibit at the Kalamazoo Institute of Arts, the University of Nebraska and the Muskegon Museum of Art. 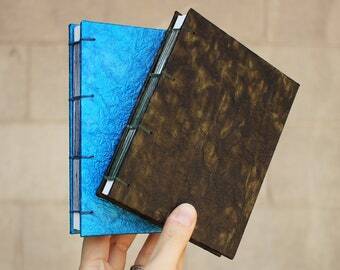 Bookbinding instructor and Intern Coordinator at the Kalamazoo Book Arts Center in Kalamazoo, Michigan. 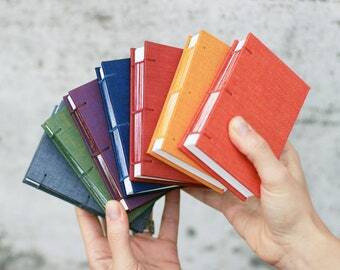 Can you print my logo on your books? Yes. 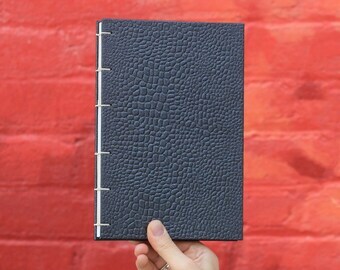 Our kraft books can feature your logo on the front or back covers. Colors other than kraft are also available, just ask. 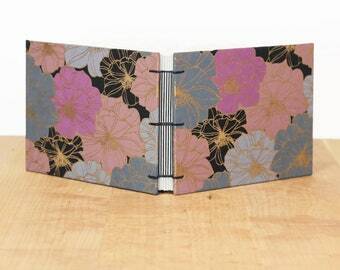 Any book can feature your logo on the inside cover using the 'Inscription' upgrade under the 'add ons' section.